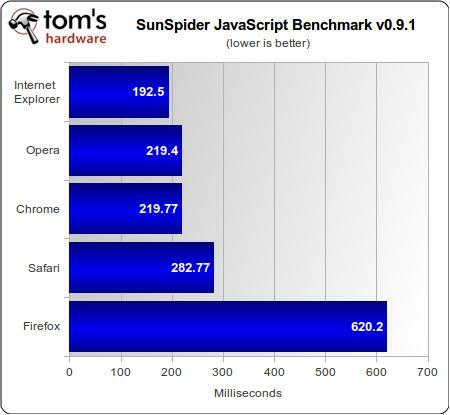 TomsHardware has posted a nice benchmark and compared some of the most popular web browsers. Unfortunately, Firefox 4 was not included. 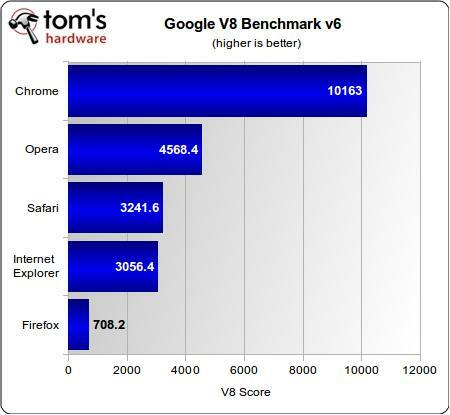 IE9 was a champion in performance and efficiency benchmarks while Opera took the lead in web standards tests. 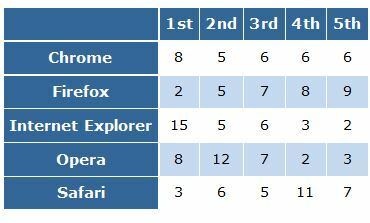 With all tests combined, Internet Explorer 9 is a winner, followed by Opera 11 and Google Chrome 10 web browsers. For even more details, visit the original post. It’s kinda funny that Chrome is slowest in loading Google page. Sorry, Matheus, you are wrong about those latest versions. Testing versions do not count, or else every one of those listed browsers has a development version that should have been used. In fact, if the tests were done before, Mar. 22, there *are* the latest public versions. If you want more latest versions, those tests should be redone in about 1 week or so. Latest public is Firefox 4 and Chrome should be v.11 public very soon. Do you know what timeframe Opera 11.1 will be publicly released? O didn’t know the date of these tests. I said that cause it’s weird to see Firefox 4 out of this tests. Opera 11.10 is already public beta and I don’t think they will take much time to release it. They did test the lastest versions. Tom’s can’t wait for the release cycles to sync up or they might never get one of these done. Those pages are still in memory in case you want to reopen them (Closed Tabs function). 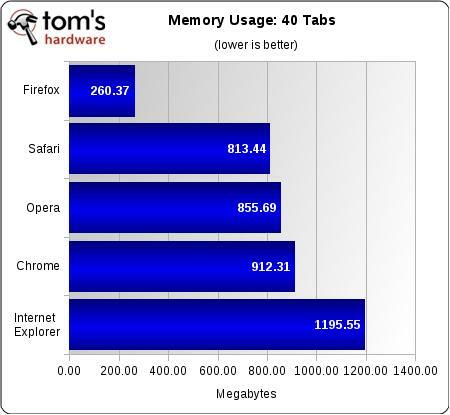 Opera will free it if you’re running out of memory and that is the only scenario they should be testing. 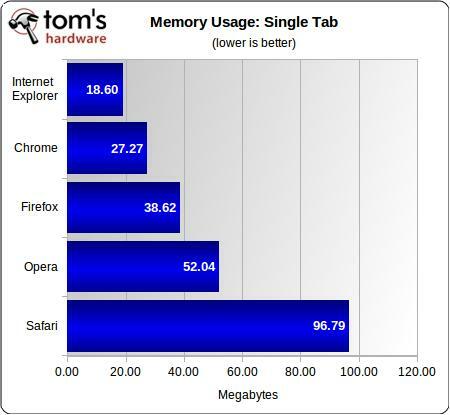 Also IE is cheating in this test because it’s part of the system and not all of memory it use is represented by it’s process. Why would it cost you 1,000 to buy Win 7 and why on earth are you using XP over 7? 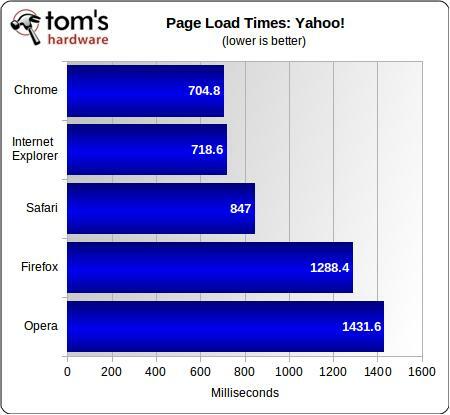 Mmm Opera win Lifehacker benchmark. 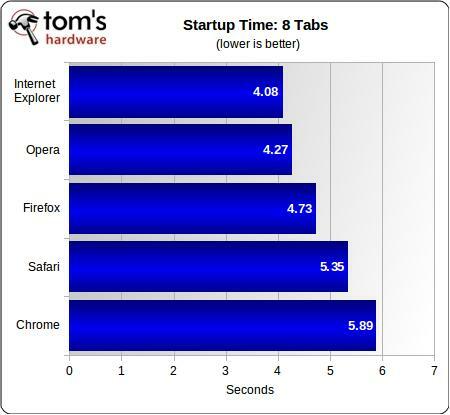 Pick as benchmark that supports your browser choice. 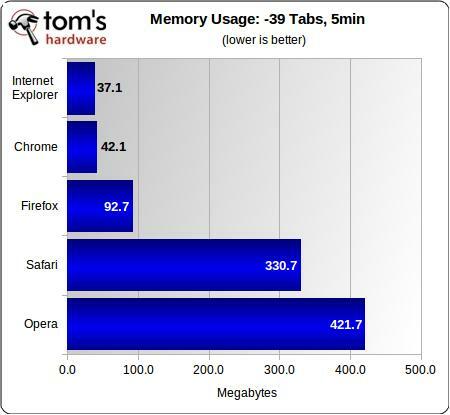 Morons are doing memory usage “suggestions”. 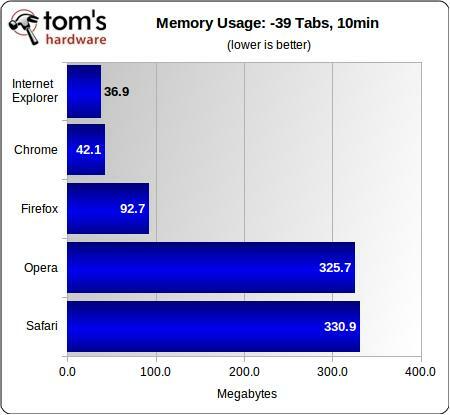 They clearly didn’t read or understand the basics of memory management at OS and application level. @DD Maybe you should read the article before you make a “stupid” comment. That site is just ridiculous. Obviously got money to do that comparison. Otherwise could wait some days to get Fx 4 and Chrome 11. I removed them from my bookmarks list entirely. I wanted to do so long time ago cause isn’t the first time which seemed something went terribly wrong. 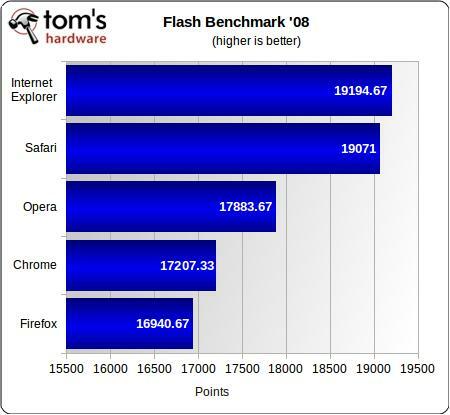 IE9 was a champion in performance and efficiency benchmarks? Are you kidding me, Vygantas? I must say that this induces in me what I believe to be the very opposite of great felicity. I had it, but now I will stick with my epic ff 3.6 with this addon!! hahaha everybodies pissed because there browser didnt win!! 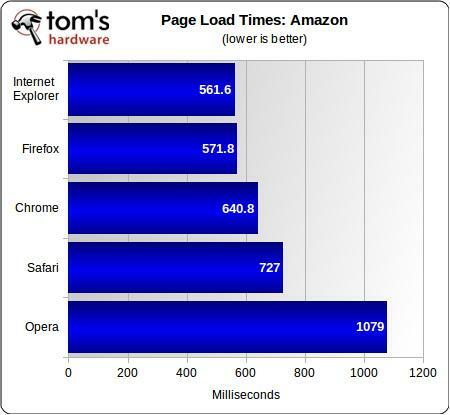 Go IE9 goooooooooooo! 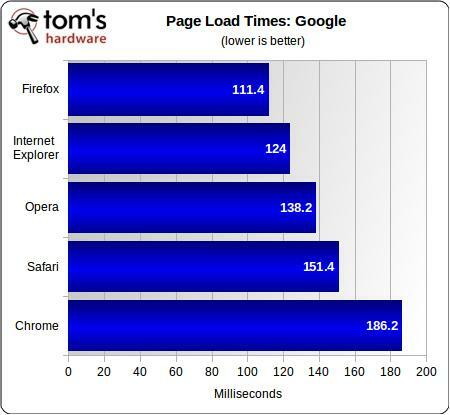 Yo man, I have been using ll three chrome firefox and ie 9 .. CAn’t use ie 9 because its slower than ff 3.6 in browsing.. Exceot, its a bit lighter than its own precios version (ie 8, 7…) but still not as good.. 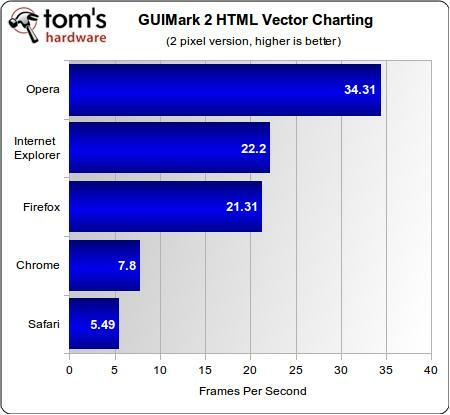 If u think its fast, then compare it youeself..
and then go to its optionsa and select turbo charged.. this will make ur FF go fast as crazy..
Firefox 4 wins in that test against chrome umm? yea i cant believe it .. Appreciate these are only ever snapshots in time, but at the moment you really need Firefox 4 to see the true comparison.